How We Test Strimmers And Grass Trimmers - Which? Which? tests grass trimmers on long and short grass, tough weeds and lawn and path edges, and assesses how easy they are to use. Watch the video above to find out what we look for in a grass trimmer and what makes the best grass trimmers quickest and easiest to use. Grass trimmers can be fantastic time-savers, or terrible time-wasters as you struggle to make them work. We carry out independent, scientific tests designed to find out how well grass trimmers cope with challenging situations and how easy they are to use. How well does the grass trimmer cut short and long grass? Will it cut neatly along path and lawn edges? Can it trim through long grass and weeds? How often does the line break and is it easy to spool out more line? Is the grass trimmer heavy and cumbersome to carry? Is the grass trimmer easy to use? Find out which models were awarded top marks in our Best Buy grass trimmer and strimmer reviews. 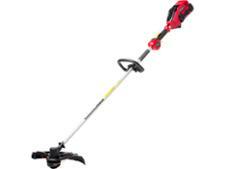 Grass trimmers are designed to cut areas of grass that are difficult to get at with the mower. This can be along the edge of flower borders and paths, close to a fence or under garden furniture. They're also often used to cut down long grass that has been allowed to grow for some time, such as where bulbs have been naturalised in the grass. Our experts cut short grass growing over the edge of paths, along a flower border, and against a fence. They also cut grass that had been allowed to grow to a height of 15cm. Most grass trimmers will be able to cut short grass, but we also look at how neat they leave the grass. Many struggle with long grass as they are not powerful enough to clear away cut grass as they cut. Will the grass trimmer cut neatly along path and lawn edges? Many gardeners find grass trimmers useful to keep their border and path edges looking neat, so the grass trimmer needs to be able to cut a horizontal line. When we cut along path and border edges we look for how neat the finish is, how easy it is to guide the grass trimmer in a straight line, whether you can see the area you are cutting, and whether you have to stand in an awkward position to do this. Not all grass trimmers are designed to cut path edges. For example, large petrol brushcutters are made for cutting down meadows and weed patches, and are too powerful to carefully cut a neat line. So our tests will show which models will excel at the tasks you need them for. Can the grass trimmer cut through long grass and weeds? Some grass trimmers are designed specifically to cut down areas that are a mix of weeds and long grass, such as meadows or ground that has been left uncultivated for some time. Others struggle with this task, being too low powered to cut through tough stems and disperse the debris. We test all our grass trimmers on long grass and rough vegetation to find out which ones cope with these tasks. Whether you cut down long grass occasionally or often, you want to know your grass trimmer will manage the job. Our tests are designed to make sure you can do this task quickly and efficiently, and without suffering from the line breaking repeatedly. Many gardeners find grass trimmers frustrating to use, as the cutting line breaks frequently. It's inevitable that the line will wear down and break, but some models spool out more line easily and simply, while others are less user friendly. In our test we pass the trimmer head close to the edge of a spade 20 times. In many cases this is enough to break the line and the line may disappear into the trimmer head. Some grass trimmers sail through this test, while others have to be dismantled to pull out more line from inside the trimmer head. We have recently altered our tests to assess how easy it is to open the trimmer head and add or spool out more trimmer line. All grass trimmers tested from 2017 onwards have been tested this way, and scores for this element of the test cannot be compared to those from other years. 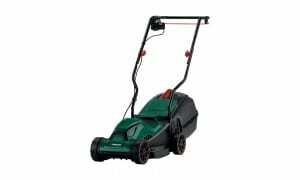 Grass trimmers vary in weight between about 1.5kg and almost 6kg, depending on whether they are electric, cordless or petrol, and on the job they are intended to carry out. 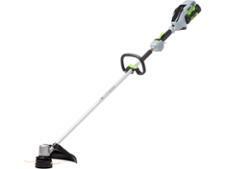 We look beyond the figures, though, and our expert users assess how well balanced each grass trimmer is, how heavy it feels as a result, whether it is easy to carry around, and how much effort is required to make it cut. Vibration and noise are also important when you use a grass trimmer for a long period, so our experts assess these as well. We use a decibel meter to measure noise and a vibration glove to see whether the grass trimmer will be uncomfortable to use. Many grass trimmers let you adjust the position of the handles and the length of the shaft so that they are right for your height. A rotating head is useful as it will allow you to cut vertically along lawn and path edges. Our experts are able to judge which grass trimmers adjust in ways that are helpful to most users. Our best grass trimmers can be used comfortably for as long as it takes to complete your tasks. A poor grass trimmer will leave you aching all over after a short time. 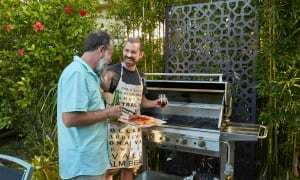 Battery life on a cordless grass trimmer is also important, and so we time how long we can trim before the battery is drained (we do this three times), as well as how long it takes to recharge from empty. Petrol grass trimmers can be devilishly hard to start, although some have modified designs to reduce the number of pulls you need and the force you need to apply. We assess how easy all our petrol grass trimmers are to start. Some grass trimmers are designed to be great at edging the lawn and others for making short work of meadow or bramble patches. Through our testing and assessments we discover which grass trimmers are best for specific jobs. Lawn edgers are best at cutting the vertical edges of the lawn, and tidy around in a few spots where the mower has missed. General-purpose grass trimmers will be able to cope with all of our tests, from edging the lawn to whacking through tough weeds. Heavy-duty grass trimmers are those that are for cutting down long grass and weeds and are far too powerful to be used for delicate jobs such as edging the lawn so will do more harm than good. All the grass trimmers undergo the same tests and we then rate them by including or excluding some of the tasks and weighting others by importance. To find our recommendations for lawn edging grass trimmers we don't include scores for cutting long grass and weeds and put most of the weight on the lawn edging task. Similarly, to score the heavy-duty grass trimmers we look at how well they cut long grass and weeds, and take into consideration how well they cut along a fence-line and shorter grass, but ignore the marks for edging a lawn and a path. 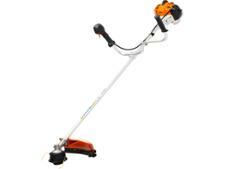 General-purpose grass trimmers are those that score well in all tasks. 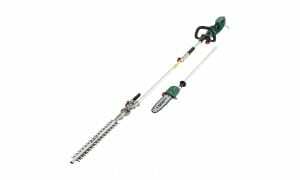 Lawn edging grass trimmers must score 71% or more to be a Best Buy. General-purpose grass trimmers have to score 73% or more to be a Best Buy . Heavy-duty grass trimmers must score 83% or more to be a Best Buy.